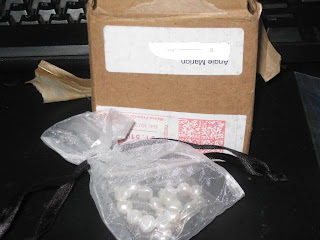 A Simple Kinda Life: Cheerios Pearl Bracelet Win! 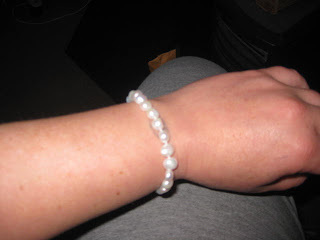 I recently won a Pearl Bracelet from my fellow Marylander-bloggy-buddy over at Life is Sweet! It arrived yesterday and I wasn't even sure where it came from. I googled the zip code that was on the tiny box and even went to the website that is on the little charm on the bracelet. I finally figured out where it came from after that! 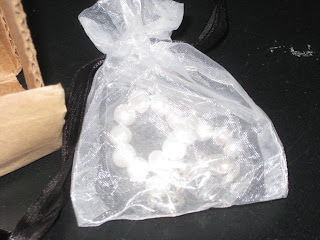 Here's some photos of the bracelet: (I love the organza bag it came in!) I'm going to use it for a papercrafting project! 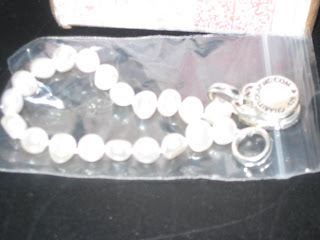 While you're at it, why don't you stop by and check out Charity Charms. They have a great selection of jewelry and charities they support! Each charity has a cool charm too! What a nice post, Angie! I'm glad you like your bracelet!